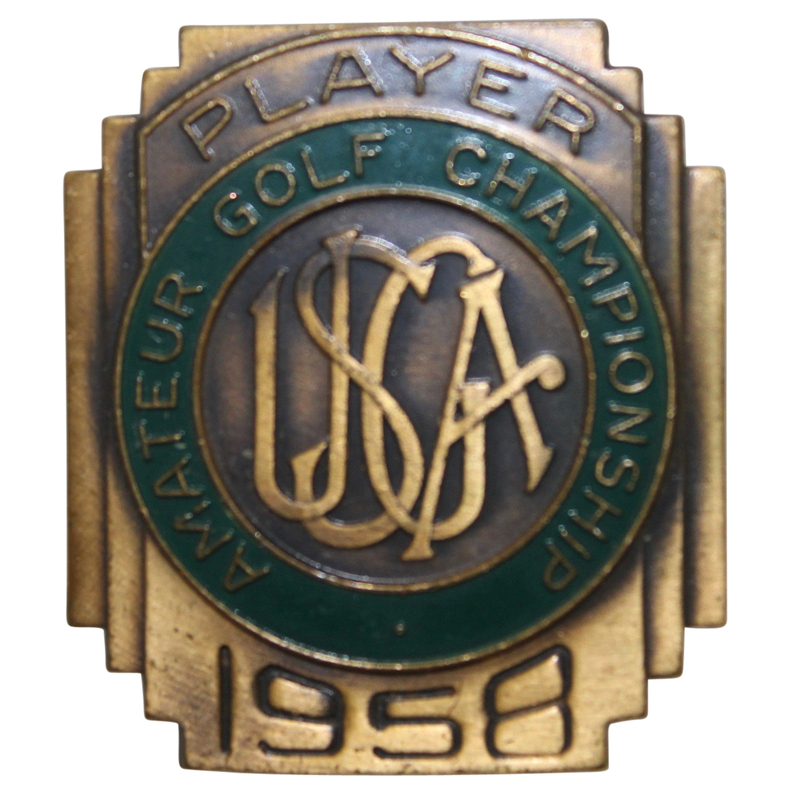 Charles Coe claimed his second US Amateur title in 1958, defeating Tommy Aaron 5 & 4, in a field that included Jack Nicklaus, Deane Beman, Bobby Nichols, and many more. 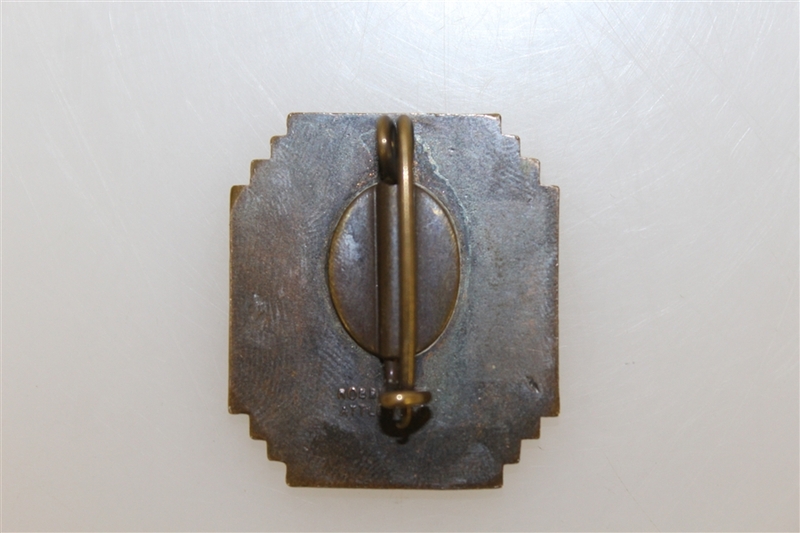 It comes in great condition with the original pin back attached. 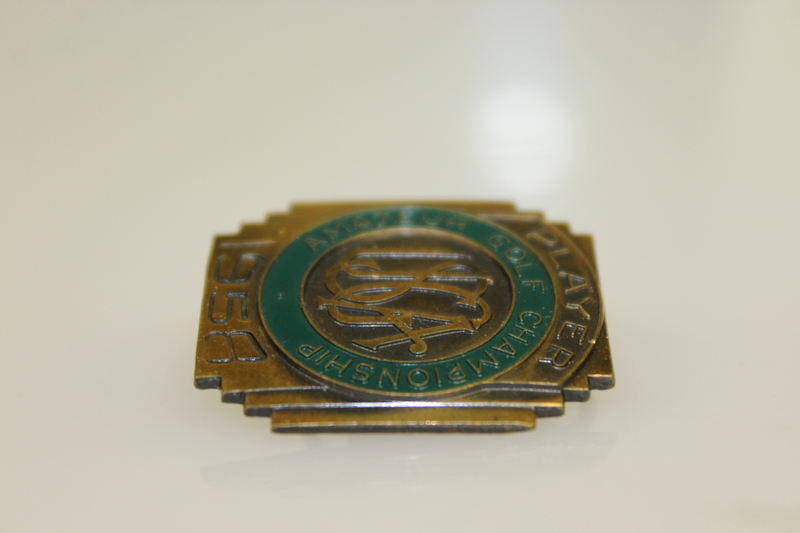 The badge measures 1 1/8" x 1 3/8".